Oh, how I have Monhegan on my mind… going to miss the nice cool air, the seagull’s morning wake up call, the fabulous food, and our friends! We hope to be there next year! C A N N O T W A I T ! ! It will be that much sweeter next year! Do you remember Orange Julius? Here’s the recipe! 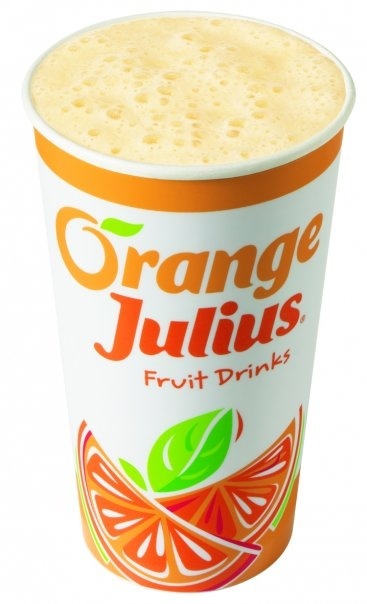 Who remembers the Orange Julius drink? Do you remember that wonderful orange flavored iced drink? I remember certain things about my childhood… like when my dad would go to Sears and look at tools… as a little girl… I can still remember the tiles on the floor at Sears in Macomb Mall (St. Clair Shores, MI). A beigy colored tile… HOW do I remember that? Because I would stare down and wait for the tool shopping to be over with because… if we went shopping for tools we either got popcorn from Sears (which was like movie popcorn, oh so delicious!) OR we got to go to Orange Julius and watch them make the drink, which was big fun. I remember they used some powdered white stuff… I’m guessing that was the “milk”? Hmmm… When I was a kid, the Detroit Free Press published a recipe for making an Orange Julius at home… my sister and I had made plenty! Sometimes if my parents weren’t home, we would make an Orange Julius and popcorn for dinner. Ha ha… big fun… After Fred and I got married, I have to say, we’ve done that a few times. They’re very filling, and oh-so-delicious! and about 8-10 ice cubes. Blend on high until ice is crushed. Pour into a glass, toss in a straw… take a sip… you have a smile on your face, don’t you?? If you’re feeling especially daring, make yourself a nice bowl of popcorn (not microwave) – it’s good fiber and will keep you full! Bill introduced the drink to Julius. Julius introduced the drink to his customers. His customers introduced their friends. And soon the store was lined with thirsty fans shouting, “Give me an orange, Julius!” Sales went through the roof and an original was born. Every time we hear Nora Jones sing, we think of the Island Inn on Monhegan Island, Maine. Every. Single. Time. One of us will say “the dining room is open”. One year, they played the same Nora Roberts CD, over and over. Not complaining. We rather enjoyed it. Matter-of-fact we looked forward to it the following year, and I’m guessing someone who worked each night couldn’t take it anymore! 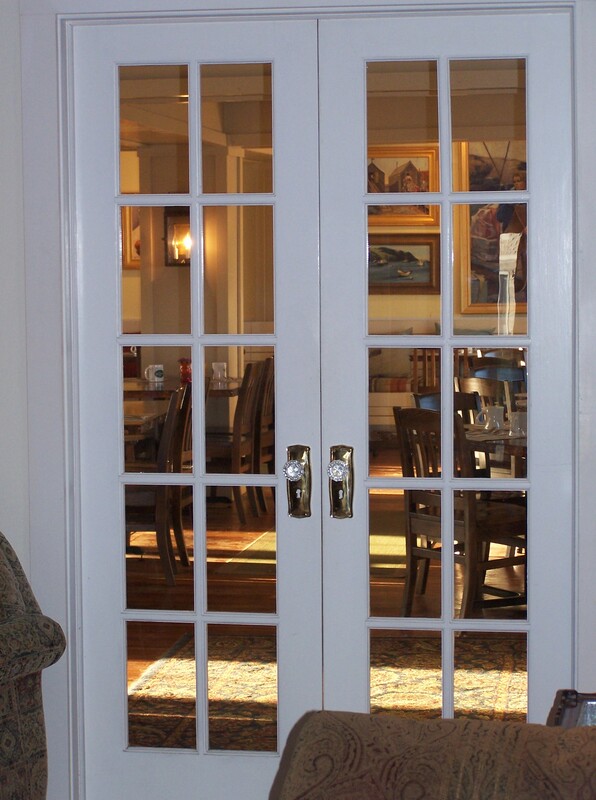 This dining room holds lots of special memories for us. We’ve met some wonderful people over the years. We’ve had wonderful breakfasts with some and long dinner’s with others. You know that comfortable interesting conversation that lasts long into the night? It’s rare to run into cool people like that. 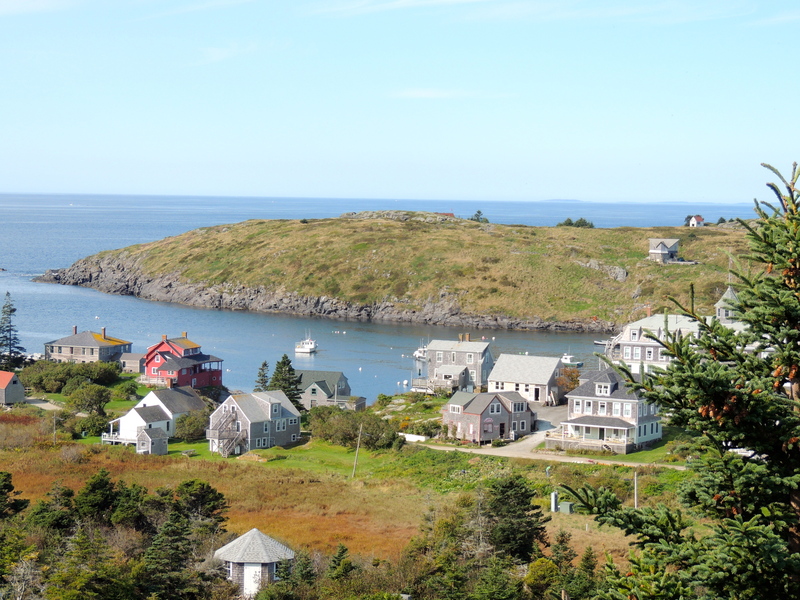 Monhegan, ME allows you to spend time with others because there isn’t a lot to distract you… no TV, radio, spotty cell coverage. All are blessings. 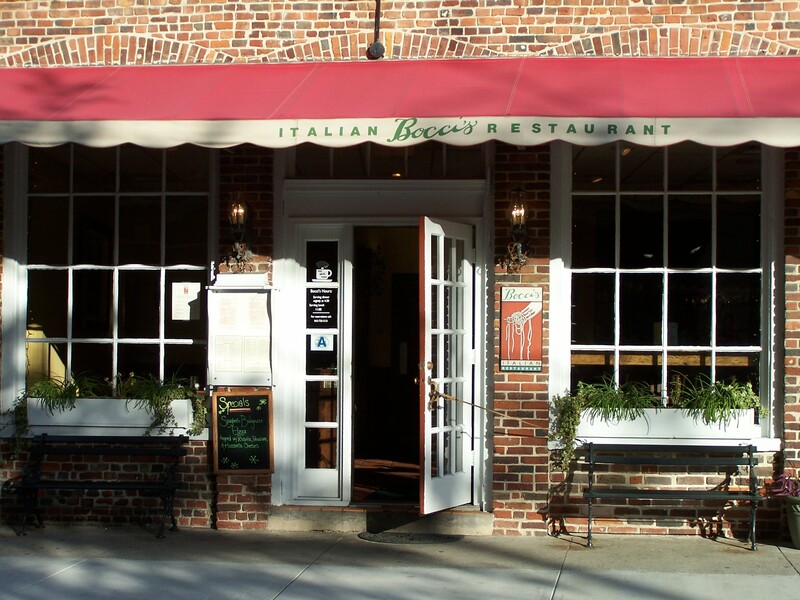 Charleston Photo: Bocci’s Restaurant… special memories! 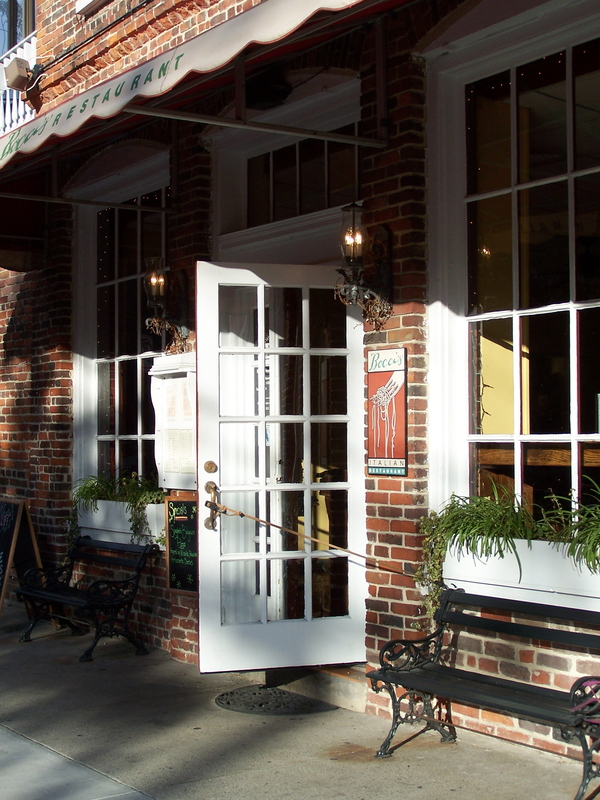 This is a neat old restaurant located on Church Street in downtown Charleston, SC. It’s where we ate dinner on our wedding night almost twenty years ago! I love this neat brick and the cool awning, it’s a very authentic feeling space. We haven’t been in years, have you? Let me know if you’ve been recently, what did you get? Here’s their MENU. I don’t recognize any of our old favorites from long, long ago… Strolling around downtown makes for some fabulous photo taking! I’ve seen artists paint Bocci’s and it’s always such a cool painting! Hmmm, Italian food is sounding mighty tasty right about now! This painting is special to us. It isn’t ours, it’s for sale at the Dowling Walsh Gallery in Rockland, Maine. Today is a special day… Isabelle would have been 12… hard to imagine. This painting is what Fred and I both imagine Isabelle would have been like if everything went OK. Unfortunately, things with the pregnancy didn’t go well… You have to figure that things work out for a reason, although it’s hard to understand “why” at that moment… We’re so fortunate to have each other and for that we are extremely thankful! 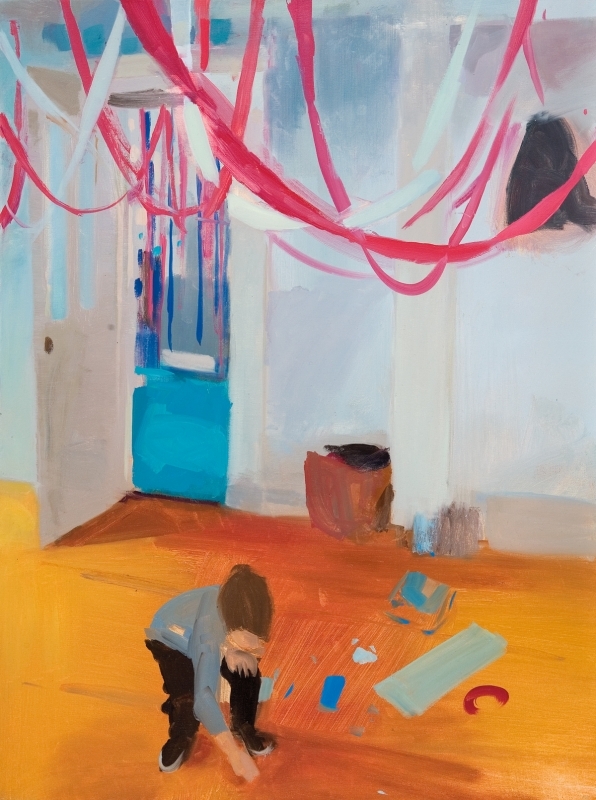 This painting is so happy and bright. Just like a little girl after her birthday party. See how paintings can evoke memories? Every painting that we have has a great memory attached to it. Hope yours do too! "1966 Taken at Eastland. Bridget wouldn't have her picture taken. Barbara 4 1/2"
Wow, I didn’t think I remembered back when I was four, but hey, I totally remember this! 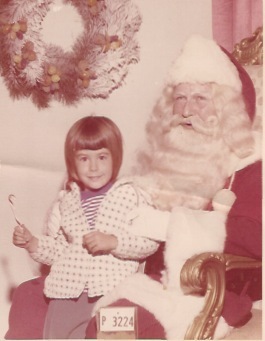 I remember going to see Santa (such excitement), and I remember my sister Bridget wouldn’t have her picture taken with Santa. Afraid of Santa? Geez… that’s gutsy, not me, I hopped up on his lap, and recited my list that I had most likely practiced for quite some time. (Don’t remember what was on the list, ha ha…). Part of the happiness of Christmas, or the holidays in general are the memories that come with making the meals, decorating the tree (or setting out the Menorah, etc.). It doesn’t matter what nationality you are, each of us, if we’re fortunate, has good memories that we want to replicate year after year. I was so fortunate to have such a great childhood. No worries, just had a great time, all the time (or at least that’s what I remember). Great parents, a sister who was a best friend, even though she did follow me around and repeat everything I said. It was cool to be the “old one” as my dad refers to me now… I always got to be the teacher (sorry Bridget), I got to be the cashier, while Bridget had to push a chair around with canned goods… Christmas was magical. It still is. Pass the magic on. If you know of anyone who is missing the magic, spread the cheer. No one should be lonely any time of year, but especially this time of year… Be an angel, remember… LIFE IS GOOD!